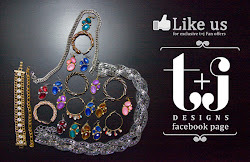 I truly believe this is one of the best times of the year for the fashion industry. I like to call it the "red runway" as the awards all begin with rolling out the red carpet so that when celebs arrive they can begin to trickle down, in their high-fashion ensembles, to help kick off one of Hollywood's biggest nights. 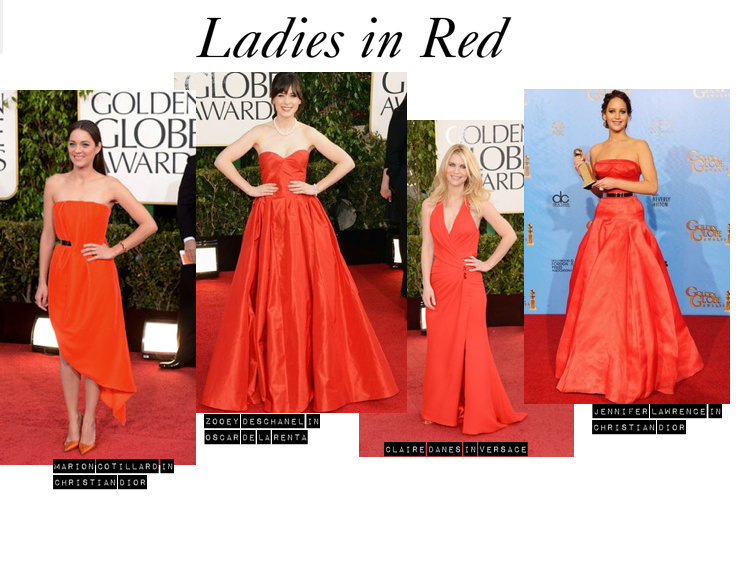 Ironically enough, the standout hue last night at the 2013 Golden Globes red carpet was..you guessed it..red! Stars like Marion Cotillard, Zooey Deschannel, Claire Danes (Best Actress in a Television Drama winner) and Jennifer Lawrence (Best Actress in a Comedy or Musical winner) rocked the carpet in varying shades of the "color of the night". Another coincidental color for the Golden Globes was..gold! Metallic touches or full-on glittering gold gowns lit up the red carpet. I especially loved Michelle Dockery in Alexandre Vauthier (shown above). The high "brocade-style" collar accentuated her figure and helped to highlight her perfectly pale skin. Two words: golden goddess. I think my all-time favorite trend of the 2013 Golden Globes red carpet was the "All-over Lace" gowns. Jennifer Lopez looked impeccable in this long-sleeved silk lace gown by Zuhair Murad. But my favorite look of the night, hands down, has to go to Nicole Riche. I know I have mentioned before that I am completely obsessed with her style, but this blue Naeem Khan lace gown paired with an edgy House of Harlow 1960 clutch took this obsession to a new level! I also loved her risky beauty move, continuing this blue shade all the way to her eye-shadow! Simply stunning. Bravo, Nicole! 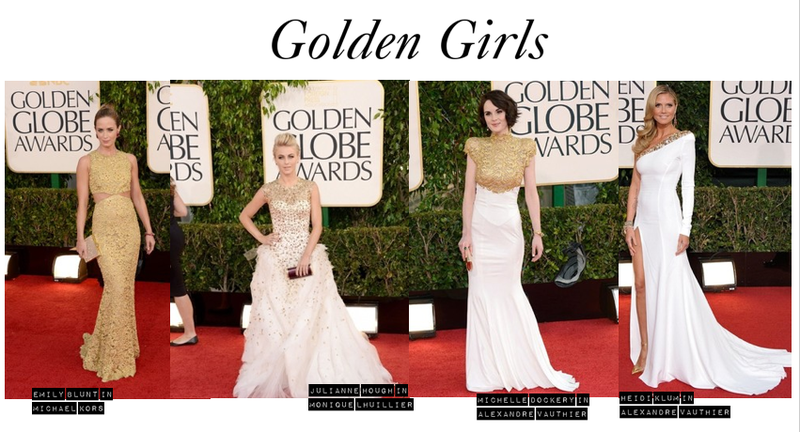 What was your favorite look from this years Golden Globe Awards?